Sorry I haven’t posted in a while.. I am still in India post my wedding.. and hope to return in another week or so.. 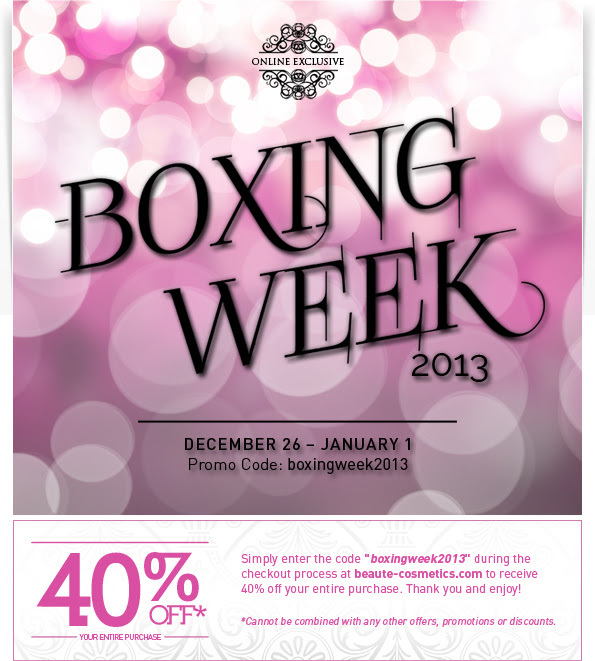 Meanwhile, I just wanted to let you all know that Beauté Cosmetics is offering a 40% discount on all their products till the 1st of Jan, 2014.. I highly recommend their lip stains – Fever and Harlot! They are comfortable on the lips and last for a decent time..